Celtic claimed a convincing victory on their return to Scottish Premiership duty, beating Hamilton 3-0 at the Hope CBD stadium. Midfielder Ryan Christie swept in the opener in the 13th minute to give the visitors an interval lead which belied their superiority. 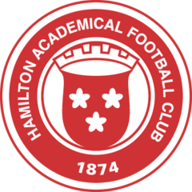 When Accies midfielder Scott Martin's leg helped a Scott Sinclair header into his own net in the 68th minute, the points were secured, but Leigh Griffiths came off the bench and drilled in a third from a free-kick (82). Brendan Rodgers' side will now turn their focus to a crunch Europa League game against Rosenborg on Thursday night, before they face Aberdeen in the Betfred Cup final at Hampden Park next Sunday. They will be tested more in both games than they were in Lanarkshire, where the gulf in class between the two sides was evident all afternoon. Celtic, with keeper Craig Gordon, defender Filip Benkovic and midfielder Olivier Ntcham back in the side, dominated the game from the first whistle. There was an early shout for a Celtic penalty when French striker Odsonne Edouard's cross from near the byline struck the arm of Matt Kilgallon as the Accies defender tried to get off the ground inside the penalty area, but referee Don Robertson was unimpressed. Moments later, Christie drove wide of the target from the edge of the Hamilton box and it was all very comfortable for the inventive visitors. 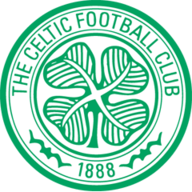 The first goal came from a well-worked corner, midfielder Callum McGregor playing a one-two with Edouard before cutting the ball back for Christie to sweep the ball high past Accies goalkeeper Gary Woods from 10 yards. In the 28th minute the Hamilton defence was sliced open by Ntcham's incisive through ball but Woods blocked Sinclair's all-too-casual finish for a corner, which came to nothing. The champions kept probing while Accies kept chasing. Ntcham came close to doubling Celtic's lead with a right-footed drive from 14 yards, which hit the side netting, but when Lustig's cross from the right was headed goalwards by Sinclair from 12 yards, Martin inadvertently redirected the ball past Woods. Rodgers soon replaced Edouard with Griffiths for his first appearance since October 7 and he fired in a free-kick from 20 yards after Martin had hauled down Sinclair to seal a commanding win for the Parkhead side.